You may feel butterflies before walking into a group exercise class for the first time, but here’s the good news: The hardest part is just showing up, because once you get there you’ll meet a community of people rooting for you to succeed. Not only are group exercise classes fun, but they can help set the foundation for your fitness journey. Here’s everything you want to know about Gold’s Gym group exercise classes. 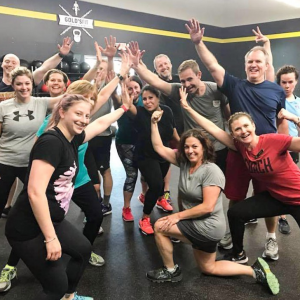 “It’s really awesome to see existing members help the new people out,” says Erin Gregory, fitness programs national development manager for Gold’s Gym. You don’t have to be an expert. In fact, if you’re new to working out and aren’t sure about starting with an hour-long class, feel free to come for only part of the time. “Starting in small doses can help you build up to sticking with it in the long run,” Gregory says. Bring a water bottle. You’ll definitely want it. You can also bring a towel from home, but most Gold’s Gym locations provide them for your convenience. Arrive five to 10 minutes early to set up the equipment. You’ll use a barbell with weights, a step and a mat during this hourlong class. The step is used as a tool to keep you off the floor during moves such as chest presses and tricep dips. You can choose the amount of weight you use. Start with the lightest, as you may do more than 1,000 reps altogether in each class. The first half of the class is the smart start section for beginners — the instructor will announce when you have completed it and that you have worked the major muscle groups. This hour-long cardio workout is fun and easy to follow, Gregory says. 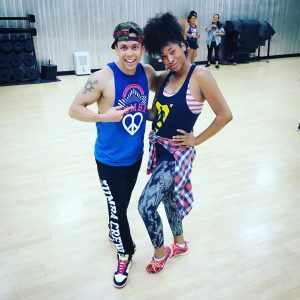 Jennifer has been a Zumba student for seven years. Her favorite class is with instructor Von Stanley Gossi at Gold’s Gym Wendover. Gregory says yoga is as intense as you make it. Gentle and Hatha Yoga (another slow-paced, low-intensity class) focus on breathing and relaxation for an hour. Mats are provided for the class, but you are welcome to bring your own. Other equipment, such as yoga straps and yoga blocks, may also be used to help with flexibility and stability during various poses. Vinyasa Flow Yoga is a step up in intensity, with continual movement keeping your heart rate up. These 30-minuteGold’s Gym group exercise classes each focus on cardio, plyometrics or strength workouts. No equipment is required for the GRIT®CARDIO class; it’s all about burning calories with fast moves such as mountain climbers and burpees. The GRIT®PLYO class uses steps and weight plates for jump training moves on and off, over and around the step. “It’s really good for injury prevention,” Gregory says. Barbells are used in the GRIT®STRENGTH class, and you can increase the intensity by using heavier weights for moves such as jump lunges and clean presses. Gregory says this is one of Gold’s Gym’s most popular cardio classes. It involves a lot of punching and kicking moves, and no equipment is required. Moves such as pushups, squats and lunges target upper and lower body muscles in this hour-long class. 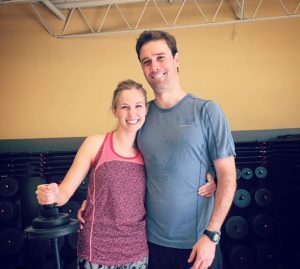 Workouts change every day — personal trainers are specially trained to adapt dynamic, full-body workouts to meet members at their fitness level and help them get results. The class combines resistance and endurance training using bands, kettlebells, dumbbells, rowers, slam balls and your own body weight. Find a gym near you to get started with Gold’s Gym group exercise classes.